If you deal with stress or depression or anxiety, you know how difficult it can be. It can be even more difficult if it is a daily battle. Many things contribute to anxiety issues, and it can seem like nothing helps to get relief from it. Here at Meditationly, we want to help you find the peace that you desire. According to researchers, almost 7 million people in the USA deal with Generalized Anxiety Disorder (GAD). People that deal with this condition have more severe anxiety and deal with it more often than others. Anxiety comes from fear of things that happen in daily life. It can be hard to avoid because we encounter those issues on a regular basis. For people with chronic anxiety, that fear can keep them from enjoying everyday life. It feels like the anxiety will never end and there is no relief from it. As with many problems in life, you have to do something different to get different results. If you keep dealing with anxiety the same way you always have, you will continue to have the same fearful responses. Your mind has learned that reacting to a fearful or stressful situation with worry and anxiety is the preferred way to deal with it. To break that response habit, you should try new methods of reacting and dealing with stressful situations. Everything you have tried until now hasn’t gotten you any relief. All the medications and therapy sessions have been helpful in identifying the problem. But they haven’t improved your quality of life. It’s time to try something different. Meditation is a method that you can use on your own and anywhere you like. It can help you calm yourself and your mind to get past the anxiety problems. Meditation is not a cure-all or magic pill. It is a process that you go through as often as needed to calm your mind and relax. Through focused silence and thought, you find a peaceful place between all the anxious thoughts. You learn to find your balance, your center, and to keep your mind and body at peace there. When a fearful thought or situation comes up, you can choose to locate your balance right then. When your mind is racing with worry and fear, you can slow it down and find rest. With practice and over time, this calming process becomes the new normal and replaces the fearful thoughts. 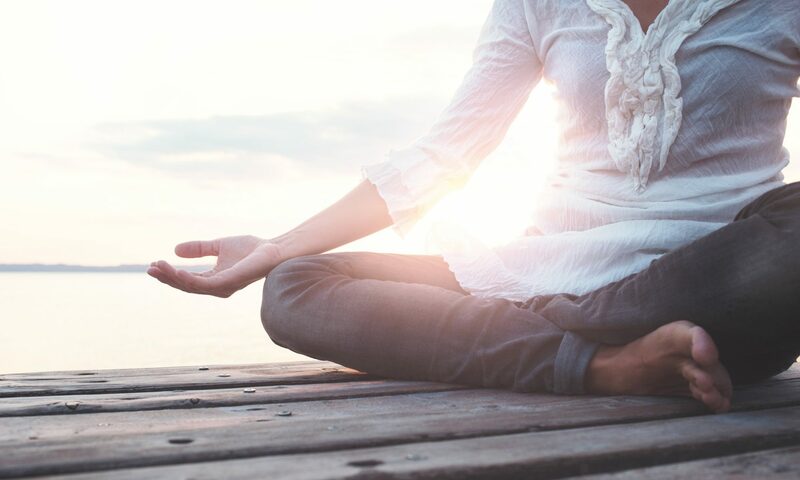 Studies have shown that using meditation is a good way to treat anxiety. With practice and a good teacher, you can master this valuable skill as well. If you have tried other methods of treating your anxiety and they haven’t worked, why not give meditation a try? Many people have used meditation in place of or in addition to the other measures used to treat anxiety. Many people have found the peace and relief they were looking for by trying something different. If you could beat anxiety on your own, you would have done it by now. If medicine could cure your anxiety, you would be better by now. If therapy could turn your life around, it would have already gotten you on the right path. All these options are good, and you should always listen to your doctor. Yet, you are still looking for that internal peace or you wouldn’t be reading this right now. Why not let Meditationly help you beat anxiety and find peace and quiet in your life.